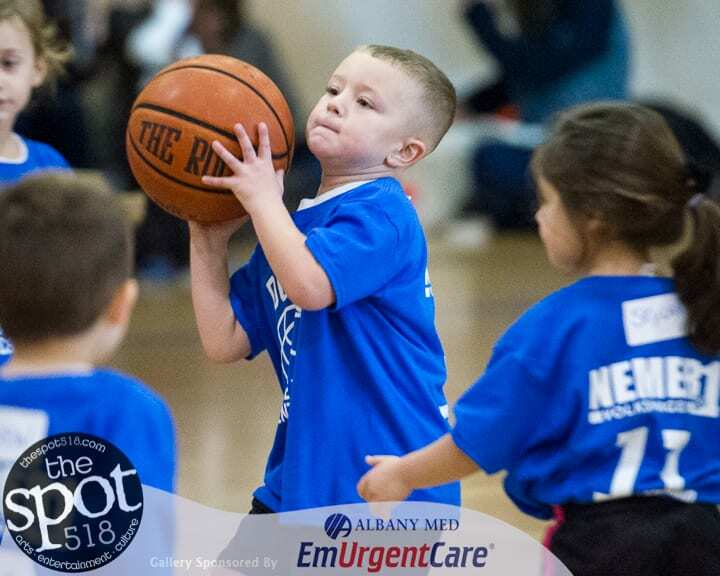 COLONIE – For more than 20 years, Roger Manion, of the Ciccotti Center, has been running a basketball program for children. The program, “Slam Dunk” winter basketball league, kicked off on Saturday, Dec. 2. It’s designed to be a fun way to promote healthy exercise and sportsmanship while at the same time teaching children of all levels how to play basketball. For 10 years, Nemer Volkswagen has sponsored the program, and on opening day a representative from the car dealership, Anna Halpin, was at the Ciccotti Center to give t-shirts to the athletes.